Looking at the causes of leg edema makes it possible to see the solution. You are going to learn how to make edema of the lower extremities go away. Below are the commonly thought causes of leg edema. There is another reason that is not recognized by main stream medicine. This underlying cause, when addressed, will make the edema go away. Some will call this quackery. Unlike many of the drugs that have been withdrawn from the market because they were dangerous (in spite of the science saying or paid for to say otherwise), we do not have any studies that indicate that this works. Our limited science on the causes of leg edema and treatment is not profit driven. It is focused on helping people. Big drug companies even pay out heavy fines and settle law suits and can do so because of the profits. 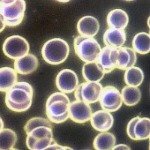 Many of these drugs, released because the science provided said they were safe were later found to increase the risk of heart failure, increase the risk of bladder cancer (Actos by 83%), increase the risk of heart attacks, Other complications from certain drugs include...inflammatory bowel disease, Crohn’s disease, ulcerative colitis, suicidal thoughts, birth defects, liver damage and gastrointestinal disorders, stroke and muscle damage. The big drug companies when caught, pay fines and pay settlements for selling their drugs which had extensive science saying that they worked. So, no we do not have any bought and paid for science backing the water cures. Edema Of The Lower Extremities: Why? We will present a different theory as to the common causes of leg edema after we look at the medical view of edema. Medical wisdom says that edema in legs, left leg edema and edema of shins is caused by disease affecting an entire system or a single organ, or local injury. The systems and organs most often involved in edema are the liver, kidneys and heart. It is believed that the body retains too much salt (sodium) which causes the body to retain water. 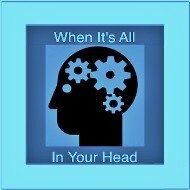 When the water has no place to go, it leaks into the interstitial tissues. 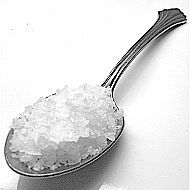 Our kidneys play a part in the regulation of the salt in our diet. 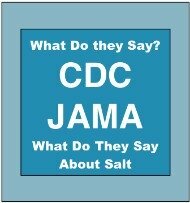 A healthy person can consume a considerable amount of salt and the body will eliminate it. There are 16 genotypes that do not process salt well. Of these, eight store more salt than needed and eight shed more salt than needed. If you are one of the 16, how much salt you eat may make a difference. The salt regulation of the kidneys is controlled by hormones and hydration status. When we do not have enough water intake, the kidneys will hold on to salt in order to hold on to more water. In kidney disease, the function of the kidneys is limited in one of several ways. 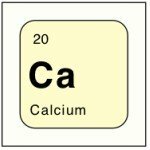 This causes salt to not be secreted and the result is edema. 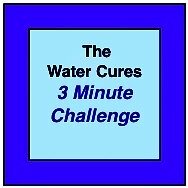 Note: we do not recommend using the water cures if you have kidney disease unless under the care of a kidney specialist. 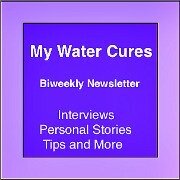 Some have used the water cures successfully. We do not recommend trying this with out the supervision of a doctor. In heart failure (when your heart fails to work as good as it should), the blood does not flow adequately. This can also cause edema. Most medical books recognize that the kidneys think that the body needs more water because of the less than optimal blood flow. Thus, the kidneys hold back salt so that the water will be maintained. Key to the solution. People with leg edema caused by these reasons in the past have been put on a salt limited diet limited and / or prescribed diuretic medications (water pills). This is a Key to the solution. Morbid Obesity: when we get overweight, our bodies may hold on to more water in our legs. Blood clots in the leg can cause edema. This is an emergency and needs to be cared immediately. Infection in the leg. This is a key to the solution. Veins that do not work well such as varicose veins. Thrombophlebitis (inflammation of the veins of the legs) Since the veins rely on muscles to assist in the pumping blood back to the heart. This is called venous insufficiency. When the veins do not work well, some of the fluids back up eventually leak out, causing edema. Sitting a long time with out moving your legs (long airline flights can cause this). Standing for long period of time. Medications like antidepressants, blood pressure medicines hormones such as estrogen (both in birth control or hormone replacement therapy), testosterone and steroids. You noted the Key to the solution in Red Letters. Here is the underlying causes of leg edema. Through his research, Dr. F. Batmanghelidj discovered the underlying cause of edema as being dehydration. We now know it is a bit more involved, and more appropriately is called fluid and electrolyte imbalance, less than bodies needs. This expanded understanding widened the different kinds of edema of the legs that could be corrected. When the body sensed the lack of water or impending dehydration, it stores more water. Unlike a camel, we do not have a hump to store water in. Instead we store the water in our legs. 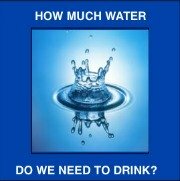 Normally healthy people do not have this problem as their bodies can readily access water. With disease states, there are numerous facets to the fluid and electrolyte imbalance. When we rehydrate the body in the right way, the edema will disappear. No drugs, no restrictions, actually it works by taking more water. Did you know that water is a diuretic? Remember one of the treatments is to give a diuretic. We agree, but the best one to give is water. Water Cures Protocol to keep the edema is gone.